NEW DELHI: Debutantes DSK Shivajians continued their flying display in the U-19 I-League as they won their fourth consecutive game, and now have 16 goals from their four games so far. The team from Maharashtra have conceded just three goals so far. DSK’s latest win came against Kenkre FC, who they got past easily with a 4-1 drubbing at the DSK Football Field on Sunday, December 28. Lallianzuala and Mawihminthanga struck a brace each as they took their goal tally to 7 and 5 in the competition, respectively. In the other match of the Zone from Round 4, Pune FC hammered Pifa Sports on Monday afternoon, securing a massive 7-1 victory in their training pitches in Mamurdi. Farukh Choudhary scored a hat-trick in the game, whereas Sanchayan Samaddar got a brace. In the Kolkata Zone, East Bengal procured an away win against Mohammedan Sporting, as they got past their opponents with a 1-0 scoreline. However, they still remain second in the table owing to United SC’s 1-1 draw against Mohun Bagan at the latter’s Club Ground on Monday afternoon. Babun Das, once again, scored at the death to give the Purple Jerseys the one point, that made them get past East Bengal to lead the Kolkata Zone. Sesa Academy were held by Salgaocar FC in the game in the Goa Zone, as the I-League side came from behind to finish the game 2-2 at the Sesa Academy Ground. In the second game of the Round, Dempo and Sporting Clube de Goa played out a goalless draw. 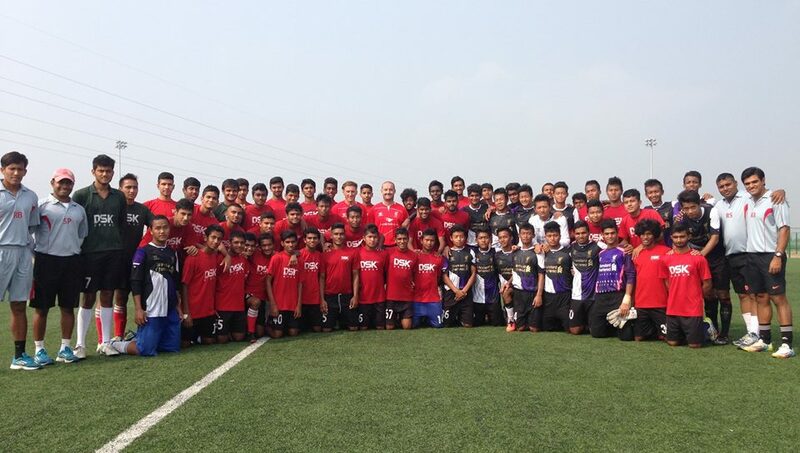 The AIFF Elite Academy still lead the Goa Zone standings. The matches in the Goa Zone will resume on January 10, 2015, following a short break.